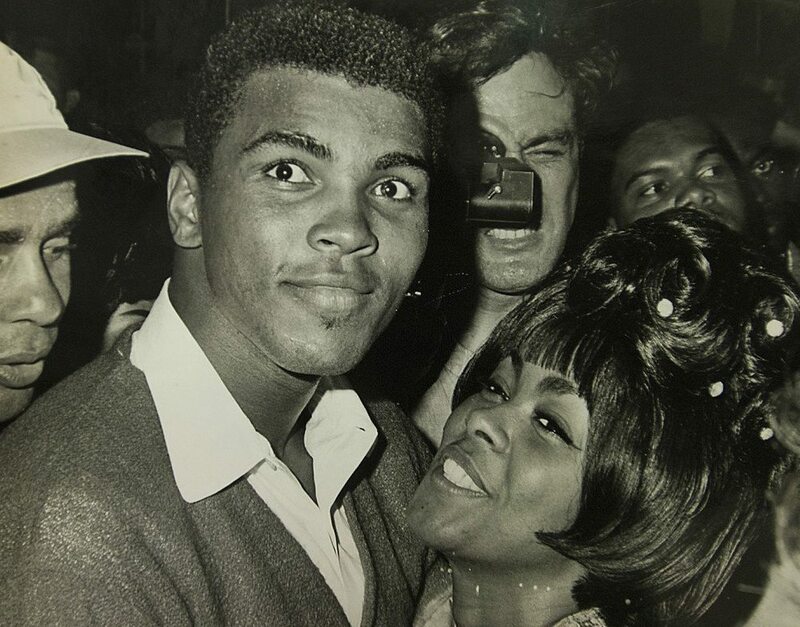 Just like a movie, the legendary boxer, Muhammad Ali at the age of 22 met a beautiful cocktail waitress, Sonji Roi and crashed in love. Before anyone knew it, he had popped the question, she said yes and voila! They were married. Indeed a fairy tale. But like all fantasies, the union did not last. Sonji Roi first met and married Muhammad Ali in 1964. This was the same year Ali won his first heavyweight championship. They met in July and by August they had tied the knot. Their meeting was courtesy of Muhammad Ali’s then manager, Herbert Muhammad. Report says he proposed the very night he met her. Love at first sight? Who would ever know. The celebrity couple were married in Gary, Indiana on August 14th. Sonji Roi was 23 years old, while Muhammad Ali was almost 22 years old. As at then Muhammad Ali had not yet converted to Islam. He still bore his initial birth name Cassius Marcellus Clay. Till the time of their divorce Sonji was addressed as Mrs. Sonji Clay. Muhammad Ali was married four times in his lifetime. Sonji was the first. They had no children while they were together. Of all of Ali’s 4 marriages, his union with Sonji was the shortest. Their marriage lasted for approximately 2 years. With his conversion to Islam came the strain on the marital union. Ali’s beautiful first wife once revealed that the demand of the Muslim religion and Ali’s devotion changed the whole game for her. Thus the reason for their separation. Sonji found it difficult and felt brainwashed in taking up the Islamic dress patterns and cultures at the time. Nevertheless Sonji has been described by close friends as a strong independent woman. Giving flesh to the above was the fact that the lady in question was doing several jobs to fend for herself upon her meeting with the self-acclaimed “pretty” heavyweight champ. The strong woman had done some jobs in the modelling world. Her beauty suggests she was well-suited for the job. She worked as a waitress and was also a singer. Sonji lost her parents at an early age. Squaring up to fate she took a waitress job in nightclubs to support herself. After her separation from Mohammad Ali, Sonji Roi launched her singing career even though it was short-lived. She was famous for the Here I Am and Here I Stay record. The single was a ballad often thought to be inspired by her marriage to Muhammad Ali. She also recorded another single for Aries Record Productions, I Can’t Wait (Until I See My Baby’s Face). After her separation from Ali, Sonji moved back to Chicago from Miami. There, she met her second husband, Reynaldo Glover, a corporate lawyer and business advisor. Reynold Glover was an attorney and onetime board chairman of the City Colleges of Chicago. He also served as president of the company that sold the final remnants of what once was Beatrice International Food Co. While they were together they had a son, Brian Reynaldo Jr. Sonji also had another son, Herman Griffin from a different relationship. Sonji and Reynold later parted ways and she never remarried again. Glover went on to remarry and had 3 more children – 2 sons and a daughter-Ryan, Jharett Brantley, Shea and a grandson. Like Sonji, Reynold was married and divorced twice. On November 27, 2007, 64-year old Reynold Glover died of complications from pancreatic cancer. In 2005, Sonji Roi was found dead in her Chaicago home at the age of 59. No autopsy was conducted as she was generally believed to have died of natural causes. According to her nephew, Sonji had died of a heart attack.